22088WYL Welly - 1970 Ford Mustang Boss 302 Hardtop. 1:24 scale diecast collectible model car. 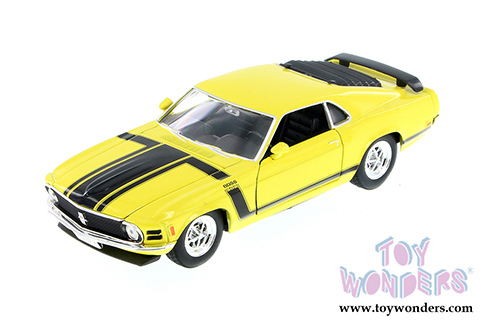 This Ford Mustang Boss 302 is a 7.5"L x 2.75"W x 1.75"H diecast metal car with freewheeling, openable doors and hood. Individually packed in a window box. 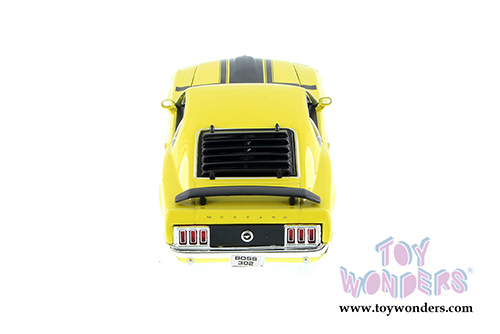 Window Box measures 9"L x 4.25"W x 4"H. This 1970 Ford Mustang Boss 302 is manufactured by Welly. Item 22088WYL is in YELLOW color. 6 pcs per inner. To see more Ford Mustang die-cast collector vehicles (click here). To see more Welly die-cast collector models (click here).